A lot of us have those days where we’re just absolutely lazy, scrolling through Facebook time and time again like a zombie and being bored out of your mind. And after all, if Facebook starts to bore you just switch to Instagram or Tumblr and keep on scrolling there. Sometimes these days can feel like a bummer, and wouldn’t it be great if there was a social network that would also actively communicate back to you in a manner that a video game would do. Well, we do have something very interesting and alike to that concept today. 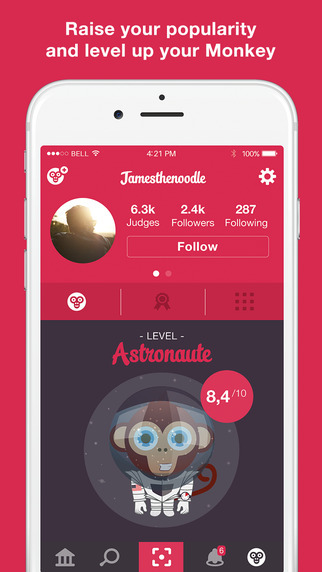 Tapscape’s featuring the app Judg today, which is the first social network game alive and it looks wonderful. So let’s dive into the review straight away! You can also check out the developer’s website here! 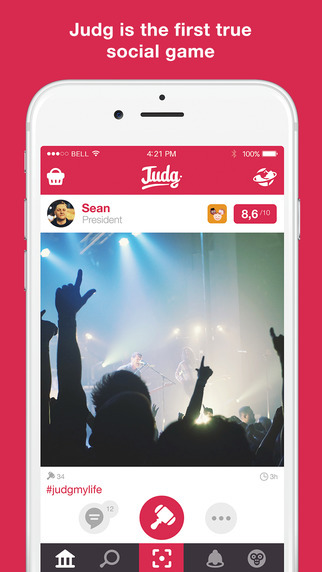 The premise of Judg is simple—after booting up the app you set up your own account and basically start posting pictures and commenting on other pictures. One of the fun things about Judg is that it comes with categories like sports and music, allowing you to browse pictures you’re interested in. There’s also the charming category, which is basically a place that is a little softer than Tinder but still crawling with girl selfies asking for ratings. And with these ratings its where the game Judg comes into play. You can Judg every photo with a rating of 1-10, leaving the uploader of the photo with either a boost in their so called “level” or a decrease. Comically enough you level up your own monkey when being judged, which is basically the catalyst for how well you are faring amongst the community. The Judg community is alive and kicking, which I liked very much. A lot of people seemed friendly and while the user-base could really use another boost to put it over the edge, I already had a lot of fun using Judg. 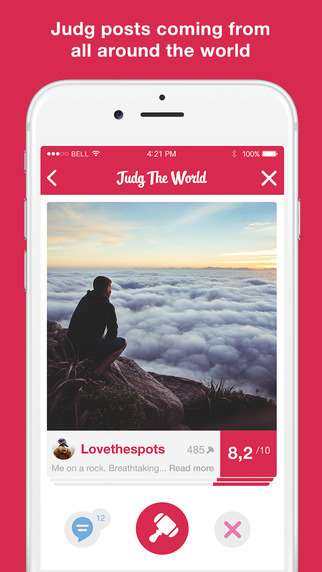 Judg is the perfect solution for when you are bored with your social networks and in need of something new and refreshing. It really has set itself apart with charm and originality and I really think you should check the app out if you think it’s something for you.